J.W. Home Improvement is proud to provide professional interior construction and remodeling services to the greater Fairfield County area. If you are looking for high quality interior construction or remodeling services, we possess experienced and capabilities to complete the project within your specifications and desired budget. We want to provide you with the beautiful and functional home that you have always envisioned. Below are some of our more popular interior construction and remodeling services. The kitchen is often referred to as the centerpiece of your home where you spend the majority of time congregating with family members, friends, and guests. Since it typically the most utilized room in your home, it is important to have a functional kitchen that is constructed with a high level of craftsmanship and quality materials. 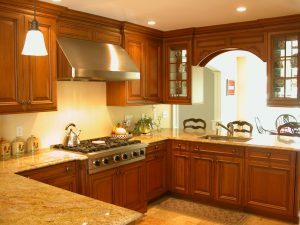 Our professional kitchen remodeling services will increase you and your family’s quality of life and create a sense of joy and pride when your are entertaining guests. We have the capacity to handle kitchen construction and remodeling projects of all sizes and scope and can assist you in designing a kitchen that will best suit your style and requirements. J.W. Home Improvement is passionate about assisting our clients upgrade their current bathrooms or build new bathrooms. We will work closely with you and take your suggestions to build the custom bathroom that you envisioned while staying within your desired budget. Our bathroom remodeling services will not only enhance the beauty and functionality of your home, but it will also increase your home’s market value. Whether you need to increase the space of your bathroom to accommodate your growing family, or you require simple upgrades, we can help construct or renovate your bathroom so that your needs are fulfilled. J.W. Home Improvement offers home addition and basement remodeling services to homeowners throughout Connecticut. We utilize the latest design and construction trends and possess all the required knowledge of your local building codes, ground coverage allowances, structural engineering, and foundation requirements to successfully complete your home addition project. If you are interested in expanding your living space with a new finished basement, our basement remodeling services are a great option. We can provide a no-cost consultation and estimate to discuss your ideas and decide the best options available for your budget. Your doors and windows are crucial components of your home that effect everything from level of energy efficiency and visual appeal to market value and condition. If your windows and doors are dated or in disrepair, hiring J.W. Home Improvement to replace them will be very beneficial for you. We have built a repuation throughout the Fairifeld County area as being a trusted and reputable company that has been serving the area’s window and door needs since 2002. We are devoted to assisting you in the replacement of your windows and doors to your satisfaction. With Hundreds of projects in our portfolio ranging from kitchen and bathroom remodels, to roofing, siding, framing and drywall, we have an established client roster that speaks to the quality craftsmanship and competitive pricing we deliver on every project. 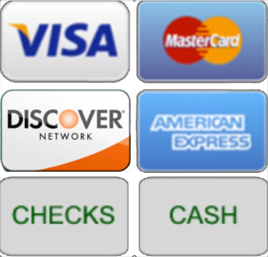 You can contact us today to schedule your no-cost consultation!